Adapt’s number one goal is to help you to achieve you goal! We provide an enthusiastic team of health professionals dedicated to providing the best home, child care centre and clinic-based rehabilitation. We provide services both under direct referral from hospitals and specialists, but predominantly under brokerage agreements with numerous organisations. We have deliberately positioned ourselves to be able to ensure that care is maintained for every client by traversing the full range of programs available following a hospital stay. Adapt Health Care provides efficient, responsive and cost-effective healthcare through the provision of mobile Allied Health Services. 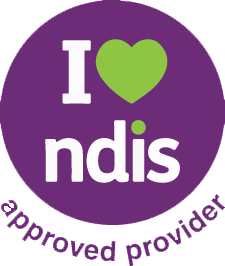 Our experience both in Australia and overseas has allowed us to develop an effective practice model based on a multi-disciplinary approach to home based services. We understand the need for a rapid response to any referral and this effectiveness is the hallmark of what we do. One-on-one therapy in a familiar and meaningful environment. A multi-disciplinary approach to treatment means that your therapists work together toward the ultimate goal of helping you. The ability to source, supply and fit any necessary equipment at industry pricing and without unnecessary delay. By choosing us you are choosing a compassionate therapist who’s goal is to help you achieve your goals.